[/av_heading] [av_textblock size=” font_color=” color=” admin_preview_bg=”] Riverina-based business leader Kate O’Callaghan has played a leading role in the development of the cotton industry in the Murrumbidgee Irrigation Area (MIA), which was blossoming just six years ago, by strategically building the capacity of local growers through collaboration, education and innovation. An agronomist by profession, Kate is well-respected in the traditionally male-dominated agricultural sector. The combination of Kate’s research background, commercial expertise and relatable approach has been credited for supporting the potential for cotton production in the region. Passionate about agriculture, Kate was recruited by Southern Cotton to nurture a new industry for the Murrumbidgee Valley community in southern NSW. Within a year, Kate had helped transform a paddock into a $50 million operation through the development of a cotton ginning business. This year about 66,000 hectares of cotton has been sown in the Murrumbidgee Valley, with more than 1,000,000 bales processed at the facility since 2012. In a region traditionally dominated by rice production, the opportunities presented by the alternate cotton industry means growers, and in turn the community, benefits. As general manager, Kate oversees a staff of up to 50 full-timers and casuals. When she’s not working for Southern Cotton, Kate runs fat lambs and grows rice and cereals with husband Owen on the family farm at Yanco. 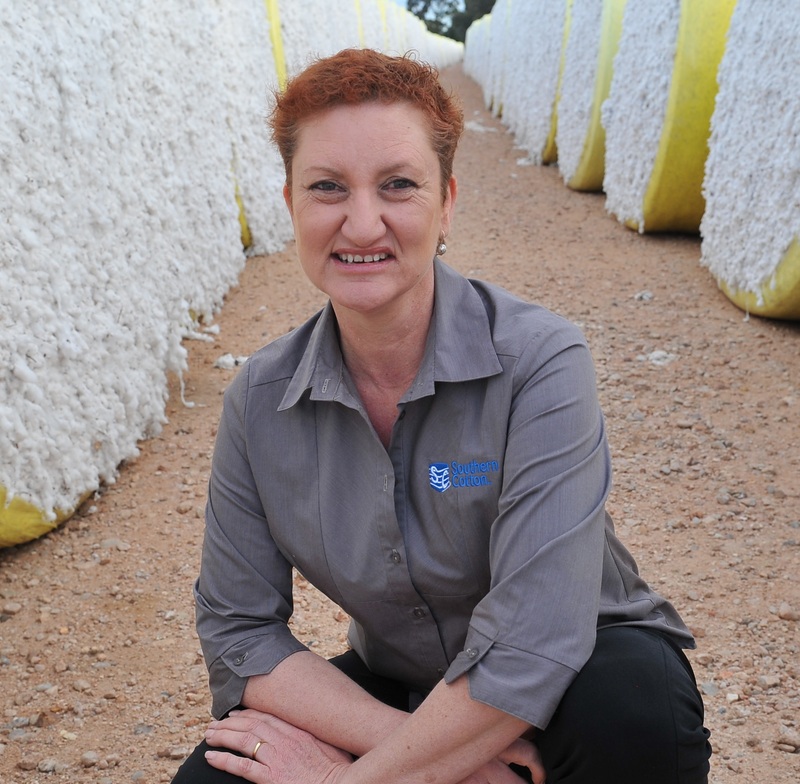 Recognised as one of Australia’s top 100 Women in Australian Agriculture in 2014, Kate represents Southern Cotton at Cotton Australia and was a 2014 Telstra Business Women’s Awards finalist in the Private and Corporate Sector category. Kate is passionate about locals and visitors understanding the quality, sustainability and excellence of agriculture in the region. Through her role at Southern Cotton, Kate has been instrumental in addressing the misinformation in the public arena on cotton and irrigated crops. In the future, Kate looks forward to developing leadership and education opportunities, not only in the cotton industry, but in all irrigated-agriculture industries.